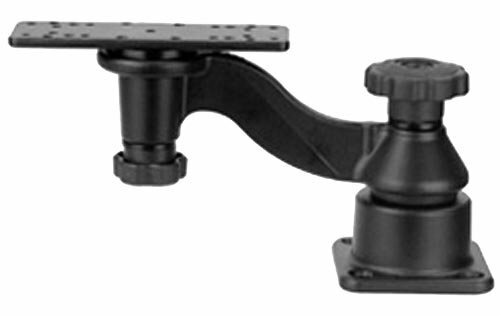 RAM flat surface horizontal single swing arm mount, Mfg# RAM-109H, with two Pivot points (base & bracket). braket is pre-drilled to match a wide variety of devices. If you have any questions about this product by National Products, contact us by completing and submitting the form below. If you are looking for a specif part number, please include it with your message.